Over the past 10 years the prevalence rates have risen steadily, from one in 150, to one in 110, and now to one in every 88 children. This represents a 78 percent increase in the number of children identified with an autism spectrum disorder (ASD) over the past decade. What are the reasons for this dramatic increase in the prevalence of ASD? A new study suggests that the rise in the number of cases of autism may be related to changes to autism diagnostic criteria. The current study supports the theory that the rise in the number of cases of autism may be related to changes in how the disorder is diagnosed. Another aspect of the autism landscape that has changed over the past 20 years is an increase in the awareness of autism among the general public as well as healthcare professionals. While recent findings suggest that at least a portion of the increase in prevalence can be attributed to these factors, they cannot alone explain the dramatic rise in autism prevalence. According to Autism Speaks, genetic vulnerabilities and interaction with environmental factors are likely contributors to the increase in prevalence. Attwood, T. (2006). 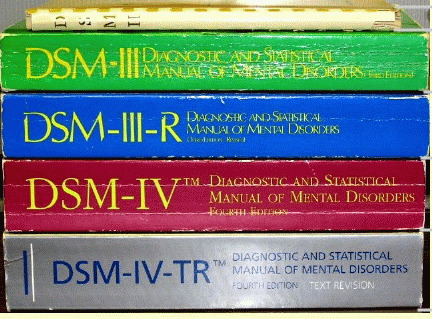 The complete guide to Asperger’s syndrome. London: Jessica Kingsley Publishers. Baker, J. (2008). No More Meltdowns: Positive Strategies for Managing and Preventing Out-Of-Control Behavior. Arlington, TX: Future Horizons. Baron-Cohen, S. (2008). Autism and Asperger syndrome: The facts. New York: Oxford. Bashe, P. R., & Kirby, B. L. (2005). The OASIS guide to Asperger syndrome: Advice, support, insight, and inspiration. New York: Crown Publishing. Bellini, S. (2006). Building Social Relationships: A Systematic Approach to Teaching Social Interaction Skills to Children and Adolescents with Autism Spectrum Disorders and Other Social Difficulties. Shawnee Mission, KS: Autism Asperger Publishing Company. Gabler, Martha (2014). Behavior Basics: A Primer for Autism Parents [Kindle Edition]. TAGteach International. Gaus, V. L. (2007). Cognitive-behavioral therapy for adult Asperger syndrome. New York: Guilford. Grandin, T., & Moore, D. (2015). The Loving Push: How Parents and Professionals can Help Spectrum Kids Become Successful Adults. Arlington, TX: Future Horizons. Hammer, C. (2016). Autism Parenting: Practical Strategies for a Positive School Experience: Over 300 tips for parents to enhance their child's school success. CreateSpace Independent Publishing Platform. Klin, A., Volkmar, F. R. & Sparrow, S. S. (Eds.). (2000). Asperger’s syndrome. New York: The Guilford Press. Koegel, R. L., & Koegel, L. K. (2006). Pivotal response treatments for autism: Communication, social, and academic development. Baltimore, MD: Paul H. Brookes Publishing. National Research Council (2001). Educating children with autism. Committee on Educational Interventions for Children with Autism. C. Lord & J. P. McGee (Eds). Division of Behavioral and Social Sciences and Education. Washington, DC: National Academy Press. Ozonoff, S., Dawson, G., & McPartland, J. (2002). A parent’s guide to Asperger syndrome and high-functioning autism: How to meet the challenges and help your child to thrive. New York: Guilford Press. Stone, W. L. (2006). Does my child have autism? 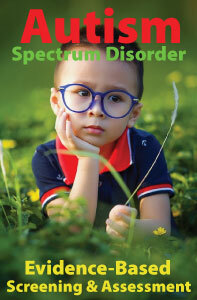 A parent’s guide to early detection and intervention in autism spectrum disorders. San Francisco, CA: Jossey Bass. Twachtman-Cullen, D., & Twachtman-Bassett, J. (2011). The IEP from A to Z: How to create meaningful and measurable goals and objectives. San Francisco, CA: Jossey-Bass. Twachtman-Cullen, D., & Twachtman-Reilly, J. (2003). How Well Does Your Child's IEP Measure Up? Quality Indicators for Effective Service Delivery. London: Jessica Kingsley Publishers. Volkmar, F. R., Paul, R., Klin, A., & Cohen, D. (Eds.) (2005). Handbook of autism and pervasive developmental disorders (3rd. ed.) (Vols. 1 & 2). Hoboken, NJ: John Wiley & Sons. Wilkinson, L. A. (2010). A Best Practice Guide to Assessment and Intervention for Autism and Asperger Syndrome in Schools. London: Jessica Kingsley Publishers. Wilkinson, L.A. (Ed.). (2014). Autism Spectrum Disorder in Children and Adolescents: Evidence-Based Assessment and Intervention in Schools. Washington, DC: American Psychological Association. Wilkinson, L. A. (2015). Overcoming Anxiety and Depression on the Autism Spectrum: A Self-Help Guide Using CBT. London: Jessica Kingsley Publishers. Wilkinson, L. A. (2017). 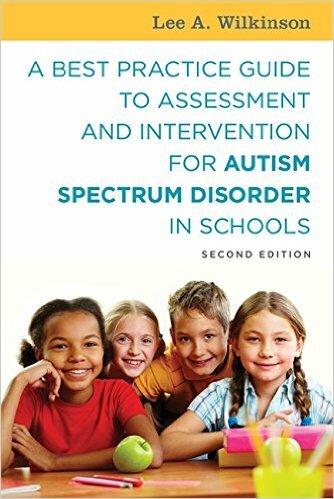 A Best Practice Guide to Assessment and Intervention for Autism Spectrum Disorder in Schools (2nd edition). London: Jessica Kingsley Publishers. Wilmshurst, L. & Brue, A. (2010). The complete guide to special education: Expert advice on evaluations, IEPs, and helping kids succeed (Second Edition). San Francisco, CA: Jossey-Bass. The objective of bestpracticeautism.com is to advocate, educate, and inform by providing a best practice guide to the screening, assessment, and intervention for school-age children on the autism spectrum. Timely articles and postings include topics such as screening, evaluation, positive behavior support (PBS), self-management, educational planning, IEP development, gender differences, evidence-based interventions (EBI) and more. This site also features up-to-date information on scientifically validated treatment options for children with ASD and a list of best practice books, articles, and links to organizations. Designed to be a practical and useful resource, bestpracticeautism.com offers essential information for psychologists, teachers, counselors, advocates and attorneys, special education professionals, and parents. Praise for "A Best Practice Guide..."
BESTPRACTICEAUTISM.COM DOES NOT ENDORSE ANY TREATMENT, MEDICATIONS, OR THERAPIES FOR AUTISM. THE WRITTEN MATERIALS CONTAINED ON THIS SITE ARE FOR INFORMATIONAL PURPOSES ONLY.